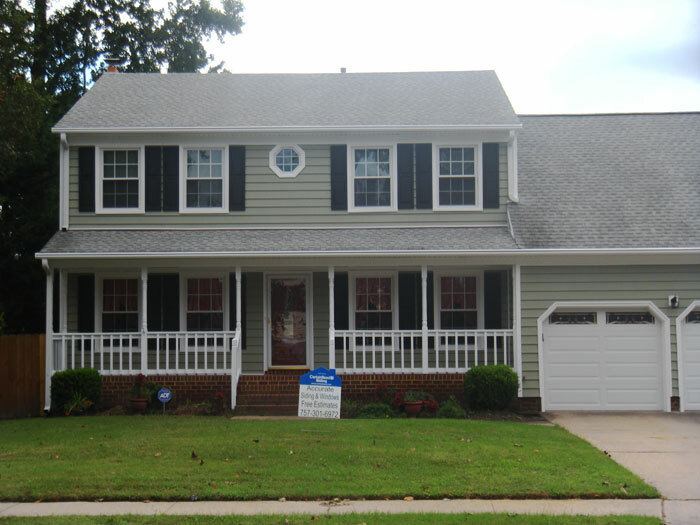 Accurate Siding and window installation company, can provide the perfect window installation solutions. There is a reason why our customers respect the work that we do. There are several reasons why you might be looking for a window installation company. Regardless of why you want replacement windows, finding a window installer in the Virginia Beach is the first step in getting the job done. New windows will update the look and feel of your home. When researching a new window company, be sure to read multiple reviews and get good references. New windows also provide energy efficiency and/or have built-in blinds. If you need window installation services, our window installation contractor can get the work done quickly and professionally. We know how overwhelming thinking about replacing the windows in your home can be. Accurate Siding and window installation company makes it easy by offering you complete window installation and support throughout the whole process. Whether you want to get new windows, renovate the look of your house or it’s something you need to do, we are here to help you in every step of the way. We have over 25 years experience working with new windows. As your local window installation company, we offer best selling, state of the art windows in a wide selection of designs, styles, colors and materials. Striving to match your budget. You can trust our window installer in Virginia Beach to provide you with the best customer service experience you can expect, and more! Our window installer will ensure all the planning goes without any complications. We offer a variety of styles, colors, grid patterns and wood grain options. In vinyl, we have different styles of window replacement for you to choose according to your taste, needs or your home’s style. Every aspect of the window installation project will be covered in thorough detail, from measuring and removal to installation and caulking. We will provide you with the best window installation advice. We will help you choose the perfect new windows for your home. Diving you details on the material and purpose of each window. Don’t hesitate to call and ask for a quote; we are here to guide you in your window installation project and don’t want to leave anything out, so don’t be afraid to ask anything! Our experts want to assist you in choosing the best windows for your home; so that, you can feel comfortable, safe and happy in your home. They say home is where the heart is, and we want your heart to be safe and warm! When looking at window installation companies, there are a few key points to ensure you find the right window installation company. Insured Company - Make sure they are insured. A legit window company will be insured, just incase something goes wrong. House repairs can be expensive and you want to make sure that they are responsible enough to protect themselves and your property. Hire a window company that meets your installation requirement, has the right credentials, has good reviews, and can work within a reasonable price range.